The Communist, or Third, International (COMINTERN) was founded in early 1919 by Lenin as an international revolutionary proletarian party. 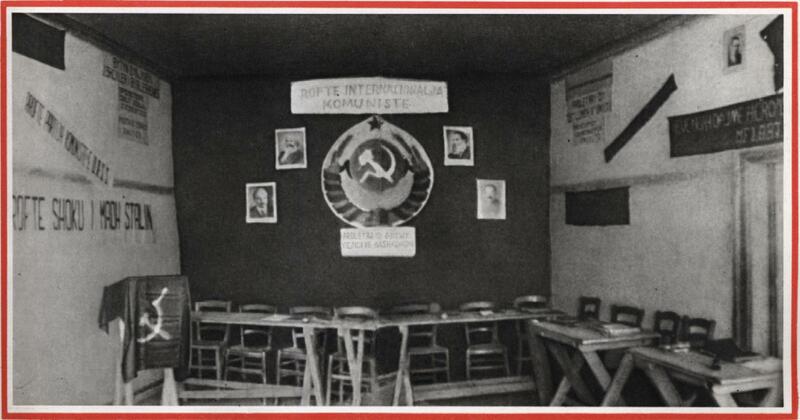 The COMINTERN consisted of about 70 communist and socialist parties in Europe, Asia, and America. Consequently, it deeply influenced the political life of many countries worldwide, particularly in the USA. 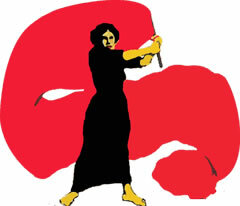 Long live the Third International, the leader in the worldwide movement for working class emancipation. "Comrades, the Comintern is not a stock market. The Comintern is the holy of holies of the working class. The Comintern, therefore, must not be confused with a stock market." "The American Communist Party will not perish. It will live and flourish to the dismay of the enemies of the working class." [New York: CPA], v. 2, no 10 (Sept. 15, 1920), pp. 7-8. 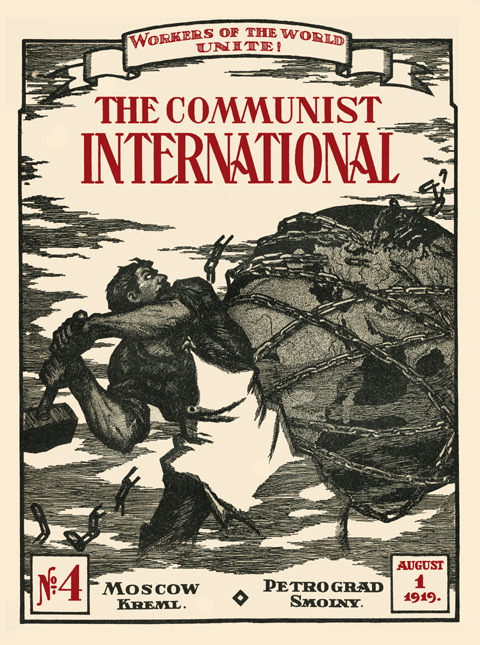 The Communist International, 1919-1943: Documents. delo, list 25; French version list 26. A document in the Comintern archive. Handwritten Russian original is f. 515, op. 1, d. 38, l. 78. Comintern Archive, f. 515, op. 1, d. 128, l. 26-27. The origins of the Communist movement can be found in the left wing of the Socialist Party and in the industrial movements. 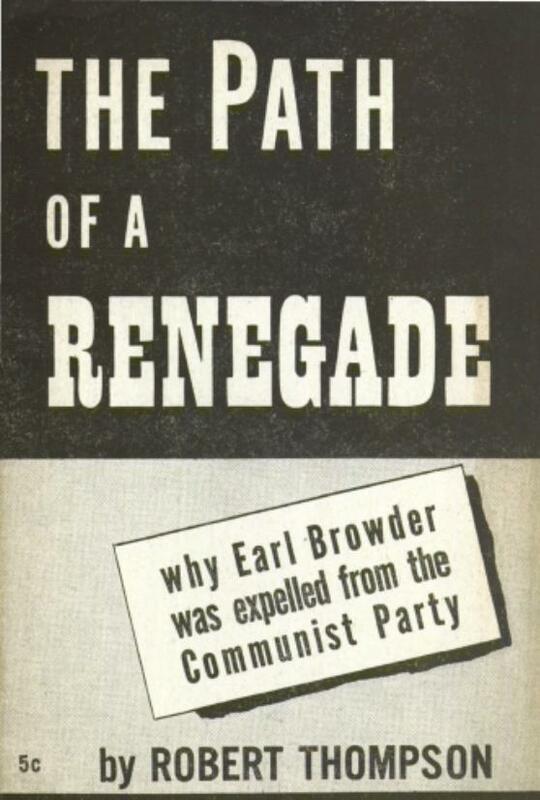 The radical spectrum of groups and individuals did not ultimately set Communist policies, especially after the first turbulent years, but they did provide the first wave of American Communists. The Socialist Propaganda League, located in Boston with the support of the strongly pro-Lenin Latvian-American socialists, was the first to send out a call for American Socialist adherence to the principles of the Bolshevik Revolution. The Friends of the Russian Revolution, or Friends of New Russia, formed at the end of 1917, and the American Bolshevik Bureau of Information formed in 1918. A substantial minority, led by the large and prestigious Russian Federation, called for the immediate abandonment of the SP. "Both groups are guilty of the fundamental error of exaggerating the specific features of American capitalism. You know that this exaggeration lies at the root of every opportunist error committed both by the majority and the minority group. It would be wrong to ignore the specific peculiarities of American capitalism. The Communist Party in its work must take them into account. 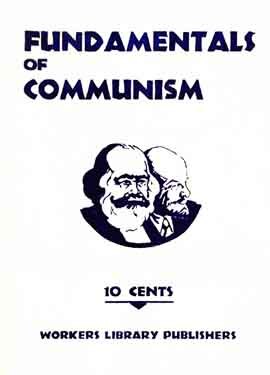 But it would be still more wrong to base the activities of the Communist Party on these specific features, since the foundation of the activities of every Communist Party, including the American Communist Party, on which it must base itself, must be the general features of capitalism, which are the same for all countries, and not its specific features in any given country. 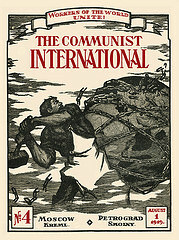 It is on this that the internationalism of the Communist Party is founded. Specific features are only supplementary to the general features. The error of both groups is that they exaggerate the significance of the specific features of American capitalism and thereby overlook the basic features of American capitalism which are characteristic of world capitalism as a whole. Therefore, when the leaders of the majority and the minority accuse each other of elements of a Right deviation, it is obviously not without some measure of truth. It cannot be denied that American conditions form a medium in which it is easy for the American Communist Party to be led astray and to exaggerate the strength and stability of American capitalism. These conditions lead our comrades from America, both the majority and the minority, into errors of the type of the Right deviation. Owing to these conditions, at times one section, at others, the other section, fails to realize the full extent of reformism in America, underestimates the leftward swing of the working class, and, in genera!, is inclined to regard American capitalism as something apart from and above world capitalism. That is the basis for the unsteadiness of both sections of the American Communist Party in matters of principle. I think, comrades, that the American Communist Party is one of those few Communist Parties in the world upon which history has laid tasks of a decisive character from the point of view of the world revolutionary movement. You all know very well the strength and power of American capitalism. Many now think that the general crisis of world capitalism will not affect America. That, of course, is not true. It is entirely untrue, comrades. The crisis of world capitalism is developing with increasing rapidity and cannot but affect American capitalism. The three million now unemployed in America are the first swallows indicating the ripening of the economic crisis in America. The sharpening antagonism between America and England, the struggle for markets and raw materials and, finally, the colossal growth of armaments -- that is the second portent of the approaching crisis. I think the moment is not far off when a revolutionary crisis will develop in America. And when a revolutionary crisis develops in America, that will be the beginning of the end of world capitalism as a whole. It is essential that the American Communist Party should be capable of meeting that historical moment fully prepared and of assuming the leadership of the impending class struggle in America. Every effort and every means must be employed in preparing for that, comrades. For that end the American Communist Party must be improved and bolshevized. For that end we must work for the complete liquidation of factionalism and deviations in the Party. For that end we must work for the reestablishment of unity in the Communist Party of America. For that end we must work in order to forge real revolutionary cadres and a real revolutionary leadership of the proletariat, capable of leading the many millions of the American working class toward the revolutionary class struggles. For that end all personal factors and factional considerations must be laid aside and the revolutionary education of the working class of America must be placed above all." A document in the Comintern Archive, f. 515, op. 1, d. 6, l. 2a. The Capitalists Challenge You, Workingmen! Proclamation of the Communist Party of America. Chicago — November 15-18, 1919.
document exist in the Comintern Archive: f. 515, op. 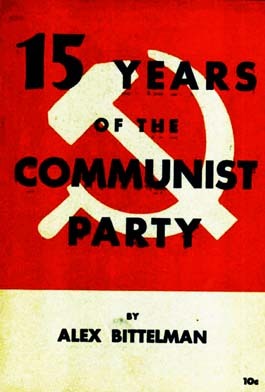 1, d. 9, l. 6-13 and 14-34.
of the Communist Party of America. Published as a leaflet by the Communist Party of America [New York, n.d.
An Unsigned Editorial from Communist Labor, Feb. 25, 1920. Published in Communist Labor, v. 1, no. 3 (Feb. 25, 1920), pg. 8. 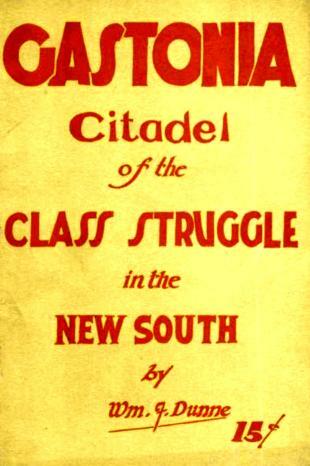 Typeset publication produced for internal party circulation. [New York], v. 1, no. 5 (May 1, 1920), pg. 2. Railroad Workers — Fight On! 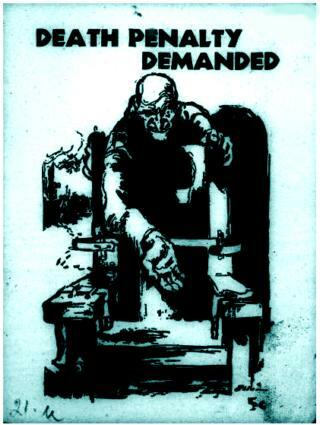 Leaflet published by the Communist Labor Party, New York. Down Tools On May First! Workers Awaken! Workers Unite! [New York: UCP], v. 1, no. 3 (July 17, 1920), pp. 6-7. New York — July 13 to 18, 1920. Published in The Communist [New York: UCP], v. 1, no. 5 (Aug. 15, 1920), pp. 3, 12. Copy in Bureau of Investigation Investigative Files, NARA M-1085, reel 928, file 202600-391. Published in United Communist Party to the Third International on Unity. 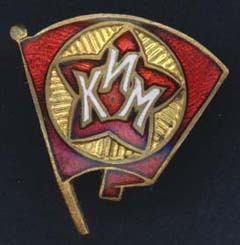 January 1, 1921 was the deadline for unity set by the Executive Committee of the Communist International. The UCP and the (old) CPA - unification took place in May of 1921. Document in the Comintern Archive, RGASPI f. 515, op. 1, d. 43, ll. 6-9. Russian translation: RGASPI f. 515, op. 1, d. 43, ll. 10-12. Handwritten at the top of the English original are the words “Volkszeitung, Lore” (the name in cyrillic). 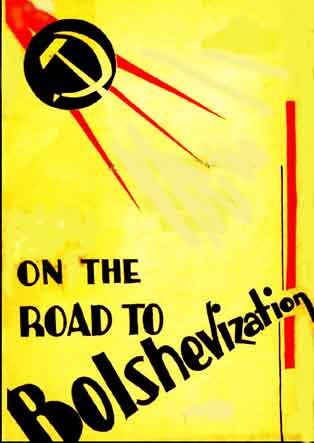 According to an archival document in the Comintern Archive there were 483,000 copies of this two-sided leaflet produced. May Day! Red Labor Day! 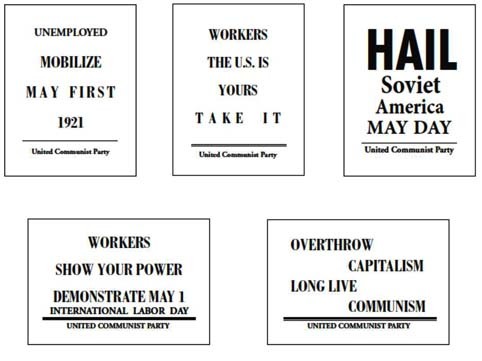 Leaflet of the United Communist Party, signed by the “American Freedom Foundation"
April 6, 1917 — April 6, 1921. Communication of the Amsterdam Sub-Bureau of the Third International. Party and the Communist Party of America, May 1921. 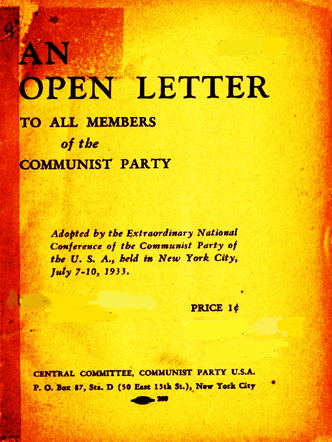 Published in Official Bulletin of the Communist Party of America (Section of the Communist International) formed at the Joint Unity Convention of the UCP and CP, no. 1 (May 1921), pp. 2-4. An Account of the Joint Unity Convention. [New York], v. 1, no. 1 (July 1921), pp. 1-3. Stand By the Miners of Mingo! New York — Dec. 23, 1921. Mimeographed document published by the Publicity Department of the WPA. 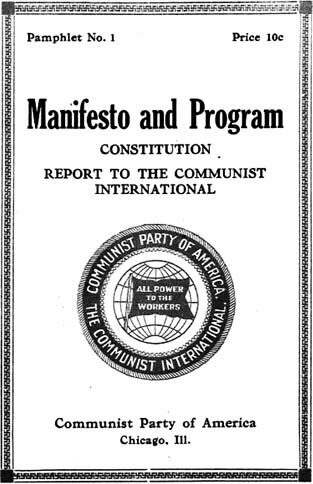 Program and Constitution, Workers Party of America. Published as a pamphlet by the National Defense Committee of New York, n.d. .
Pamphlet printed by The Cooperative Press [New Yorker Volkszeitung], 15 Spruce St., NY. A document in the Comintern Archive, f. 515, op. 1, d. 93, ll. 112-113. February 10, 13, 14, 15, 19, 22, 1922. Published in The Communist [NY: unified CPA majority group], v. 1, no. 6/7 [whole no. 6], (Feb.-March 1922), pp. 8-11. Pulished in The Worker [New York], v. 5, whole no. 214 (March 18, 1922), pg. 4. New York — March 8, 10, 14, 16, 23, 27, 29, 31, 1922. A document from the Comintern Archive, f. 515, op. 1, d. 96, l. 2-5, 10. Published in The Worker [New York], v. 5, whole no. 227 (June 17, 1922), pg. 5. Published in Miners’ Voice [Wilkes-Barre, PA], v. 1, no. 16 (August 5, 1922), pg. 1. Bridgman, MI — Aug. 17-22, 1922. Published in The Communist [New York: unified CPA], v. 1, no. 10 (Aug.-Sept. 1922), pp. 10-14. Second Extract from Report of the Representative of the Communist International to the Presidium of the CI. 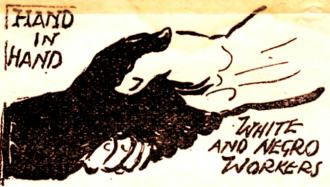 A leaflet of the Labor Defense Council, circa Oct. 1922. Copy in the Comintern Archive, f. 515, op. 1, d. 159, ll. 19-20. Document distributed by the Workers Party of America Press Service. Copy in Comintern Archive, RGASPI, f. 515, op. 1, d. 142, ll. 18-19. Published in The Communist [New York], v. 1, no. 12 (Dated “1922,” actually Jan. 1923), pp. 1-2. 1935, IN THE COURSE OF THE VII WORLD CONGRESS OF THE COMINTERN, THE AMERICAN SECTION BECAME REVISIONIST !